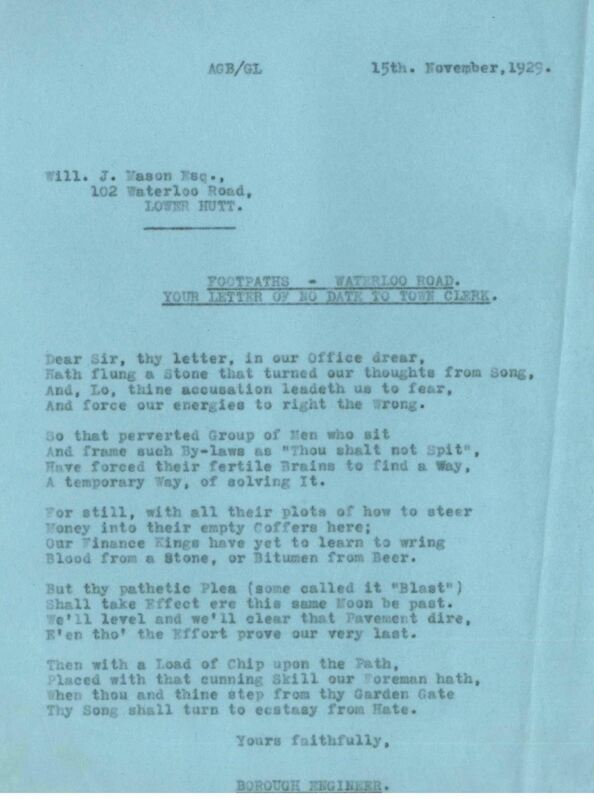 Hidden among the many routine records held at the Hutt City Council Archives at 487 Hutt Road, Lower Hutt, there are some real gems. Here are some examples. 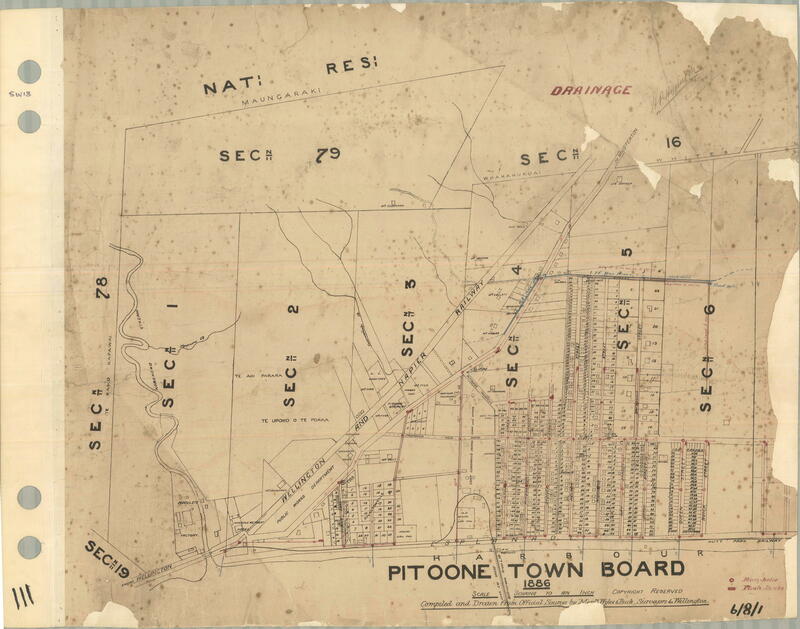 An early plan of Petone (Pitoone) from 1886. Click here to see the original at high resolution. 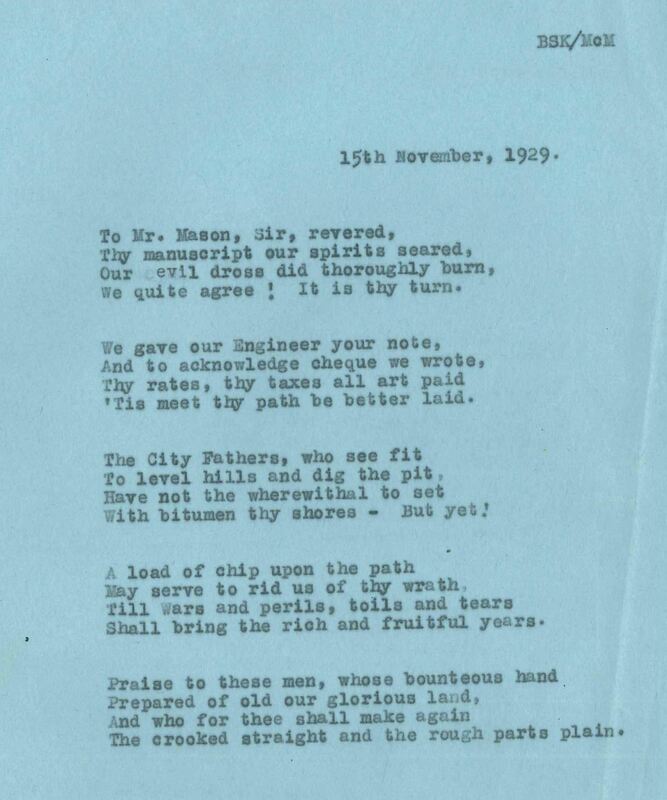 Here is an example from 1929 which sheds a different light on life at the Council. 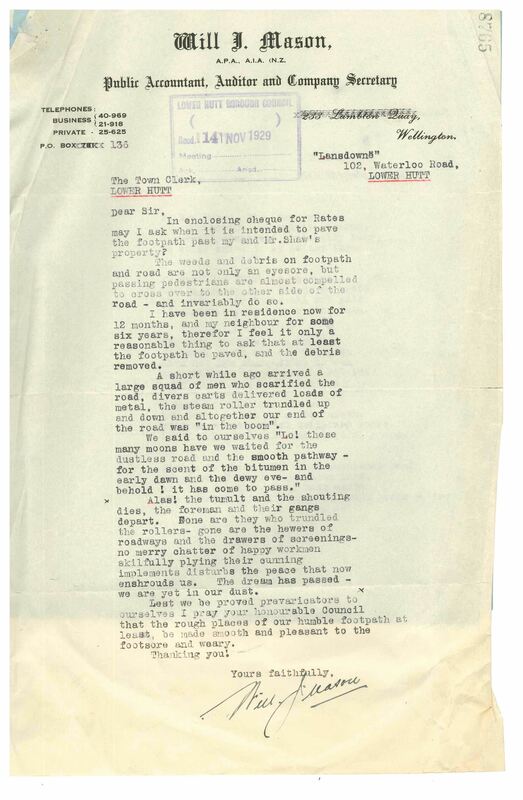 The flowery language of a letter of complaint was responded to in poetic verse.